How does time fly by so fast? I remember my Haylee as a baby and now she seems like such a big Girl as she is getting ready to take the next step and move on to Kindergarten... Now don't get me wrong I have been excited for this for a long time .. 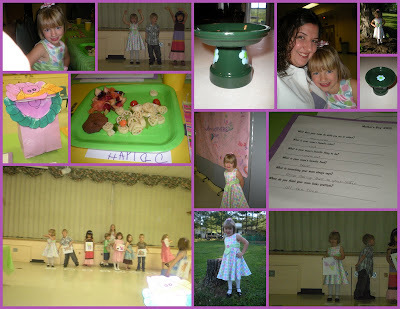 I think it is the amount of money I pay with daycare and preschool .. that makes me even more Excited~ But to be honest I had tears in my eyes as I watched her walk to get her diploma , and as I watched how much she has Grown !!! I am so excited to watch all the steps to come.. but just hope that they go a little Slower!! We love you Haylee and are so proud of you!! 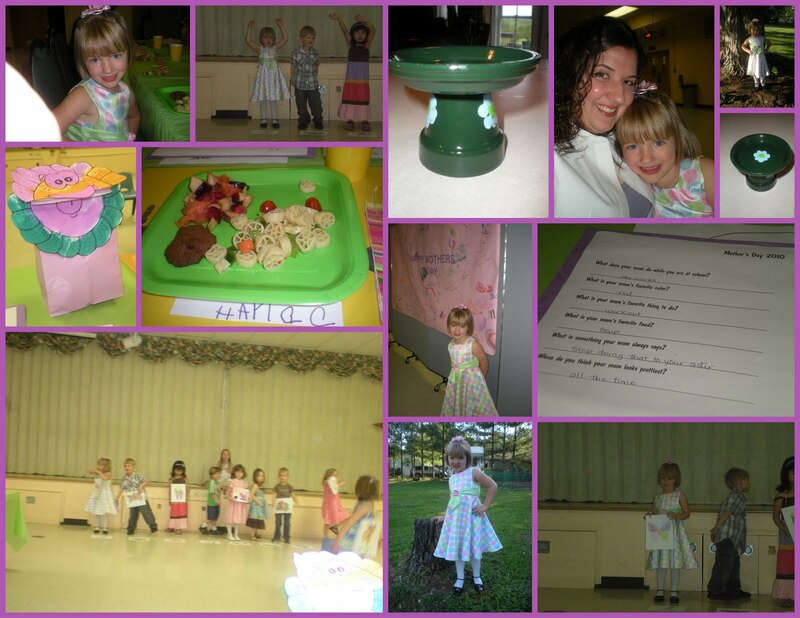 One of the first things that we were told when Haylee started school this year was to make sure to take May 6th of for Mothers Day Tea Party !! The kids pust in so much time preparing for this special day... When we arrived at school the children are responsible for Everything. They walked us into the lunch..pulled out our chair... the teacher announced that we were not allowed to do anything, that the children would bring our lunch to us .. if we wanted seconds than they would get it for us! It was to cute! They had a program with songs and they did a Play of " Are you my Mother?" We all got to participate when they did the Chicken Dance! We had pasta salad, fruit salad, and cookies to eat all made by the Kids! They had made us placemats and wrote things about there moms ...it was very cute! They also made us Jewelry Holders(the green thing in the pictures) It was very cute and special so glad I took the day OFF!